You are at:Home»Motivational»Real Success Stories Pt 3: Gary Lavin, Founder of VITHIT, The tastiest Health Drink in town! 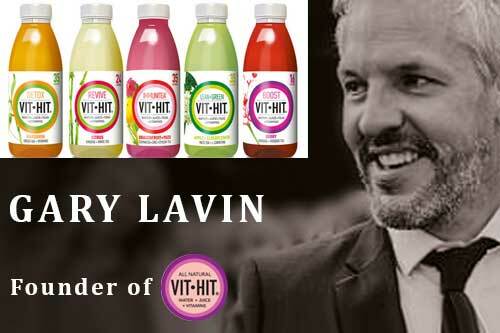 Real Success Stories Pt 3: Gary Lavin, Founder of VITHIT, The tastiest Health Drink in town! Meet Gary Lavin is the Founder of VITHIT, the health drink taking over the world one country at a time! 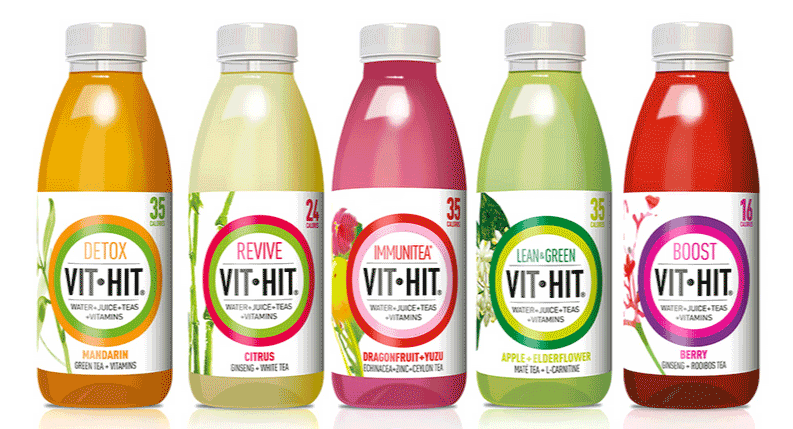 “Vithit was created because of a lack of healthy drinks available in our fridges today. ‘Most drinks contain buckets of sugar. Sugar means calories, and people no longer want calories in their diet’” says Gary Lavin Managing director and creator of VITHIT. The best thing about VITHIT is the taste! It doesn’t taste like the detox juices you spend buckets of money on just to heave, as you force them down the hatch. It tastes as if you are having a treat but after one bottle you can feel the goodness going through you. It is an immediate boost to your system, while extremely low in calories: The lowest flavour being only 16 calories, the highest being 35 calories! What more do you want out of a health drink? I can personally guarantee you if you drank one VITHIT each day for a week you will be hooked because you will want that great feeling all the time. Totally healthy and totally natural. VITHIT also contains 100% Recommended daily allowance of 8 vitamins plus health giving teas and herbs for overall wellbeing. Both Gary and Ians partnership has gone from strength to strength to where VITHIT is now a very recognisable Irish brand which is exported to 8 countries worldwide. VITHIT has proven that with innovation and creativity, Irish brands can compete nationally and Internationally in a tough, competitive, global marketplace. Who knew health could be so beneficial! 1. What made you start VITHIT? I was a Professional Rugby Player and I noticed everyone was doing a workout then drinking Sugary drinks. You burn 130 calories in a half hour but people where drinking sugary drinks that were 180 calories and undoing the workout. I was always interested in reducing sugar and calories, staying healthy and fit. VITHIT has become a brand that people have discovered themselves through word of mouth and sharing images on Instagram. 2. What has been your greatest success with VITHIT? This year our growth is up 400%. In Ireland we are selling 120,000 bottles a week. We have our product in 3000 outlets in Ireland compared to 1000, only last year. I would also say not going broke. I lost money for 7 years putting it into the brand and product. Therefore, the biggest struggle was keeping it alive! One of the greatest successes were getting tesco and boots to stock the products in the UK. 3. What has been your greatest failure and how did you learn from it? I don’t believe in failure. There is no failure unless you call it one. Its only a failure if you give up. There will be stumbling blocks along the way. Be optimistic and believe in your product or service. Eventually, the world will see it. The problem with today’s society is that people look at other people and base their success on how much money they make. They don’t see the success of a great athlete at the gym, a father, a farmer etc. From mistakes and set backs you become a better version of yourself in business. 4. What would be a crucial piece of advice you would give to someone about starting your own business and on success? Don’t start unless your making something better than you were. You have to believe 100% that its better than anything out there. Don’t give up! It is always said that you are just on the verge of making it the minute you give up. Keep hanging in there and eventually you’ll be successful. 5. What inspires and motivates you? Pinterest, packaging, products ideas, going to New York and looking at store fronts. Blogs and whats cool as the moment. I am always looking for innovation. I used to read a lot of business books but feel I have learned enough through being in business 16 years now. Although, you can always benefit from learning other peoples stories. I am inspired by sports in a different way. Paul O’Connell and Brian O’Driscolls mental and physical toughness. They always had 100% belief in themselves and what they were trying to be as did I along with great determination. A major retailer in the UK only wanted to put VITHIT on the shelves of their stores outside London. So, I got on a bike as its the only way you can get around London and went to 70 different stores on my own and brought VITHIT and sold them to their customers. 22 weeks later they were the top selling health product out of 50 health products in their stores. You need persistence and to push and push until it happens. Make them remember you. You can’t just be like every other person they have met. While you’re sitting, thinking of ideas, you can be guaranteed 10 other people are thinking the same thing and if you do not take action, someone else will. My Super Juice – Just 4 Superfoods and H20, easy peezy! 10 Vegetables you would of never thought you could Freeze!